The Separett Privy 501 with free EU delivery is a urine-separation dry toilet kit that easily can be fitted in an existing outdoor toilet. Urine and solids are kept separate. The volume of waste to deal with is substantially reduced. The urine is routed via a hose to a soakaway or tank. 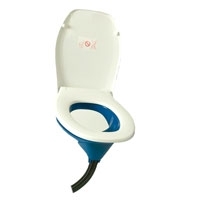 The Separett Privy 501 comes with a standard toilet seat and lid attached to the separating kit. 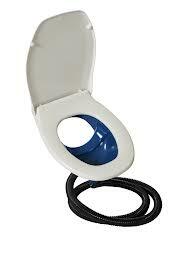 It is comfortable for year round use at places where the winters are mild. The materials are sturdy and easy to clean. Please note: The packaging for Privy has a template that can be used to easily fit the Privy into your outhouse.